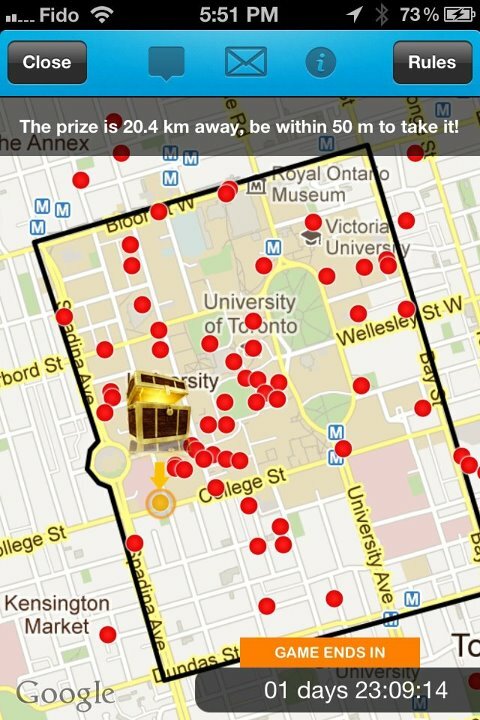 Students “battle it out with other students to capture the treasure chest. Find it, Keep it, and Win awesome stuff like the latest Macbook Air, $2000 cash, or your textbooks for the coming semester”. Now do you understand why I’m so upset that I’m only hearing about today! I should have been using my time stretching and strategizing! Step 2: Once you are within 50 meters of the chest, Take the prize. Step 3: Run AWAY! 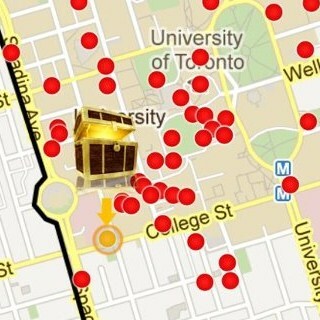 Anyone within 50 meters can steal the chest from you. 1. Macbook Air (best model) for the student who has the treasure chest. 2. Free textbooks to the student who holds the chest for the longest duration of the game (value of $500). Check out the promotional video here: OOHLALA Campus Game RSVP to the games on the official facebeook event or check out /www.facebook.com/CampusApp for more information!